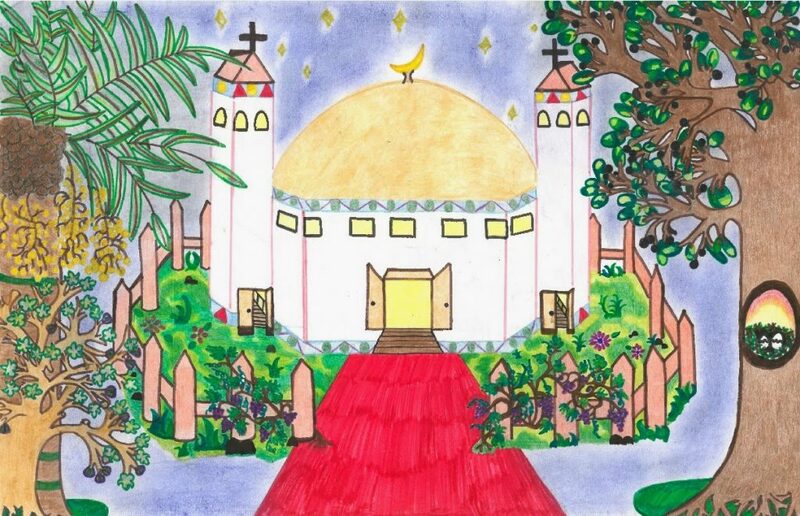 We are thrilled to present this beautiful art work created in our ArtLink program. 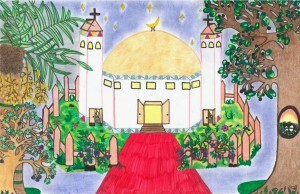 The artist describes her art work, “I drew a mosque combined with a church which represents our unity. It is behind some trees (the holy fruit trees) to show that our Arabic culture solely represents history and traditions based on religion (worshipers). We are grateful to all our students who shared their imagination, inspiration and creativity to make this year’s ArtLink experience successful!